Understanding current trends in electronic fraud, identifying key risk areas and incorporating state of the art solutions to combat fraud will help financial institutions provide a risk free banking environment and boost customer satisfaction. 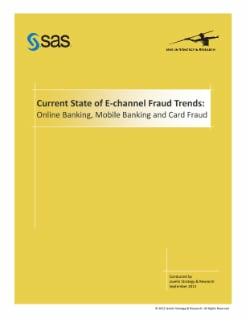 This whitepaper, which presents the results of a study conducted by Javelin Research Group on behalf of SAS, delves into the nuances of overall electronic banking fraud, the mobile channel as an emerging area for electronic fraud and current software, programs and processes in place to stop card fraud. It concludes with recommendations on future fraud prevention strategies.